I have written several RC helicopter reviews on RC helis that I have or would consider purchasing myself. It was never my intent to do RC heli reviews on this web site of mine. In this day and age of built in obsolescence, most product (especially with quad rotors) is outdated the moment it's released and is not on the market for long, so why bother wasting time writing about it? I simply figured if I had these birds myself or did a bunch of research to find out if they would be coming home with me, I may as well write about my thoughts and/or experiences with them. Nope, I don’t get these things for free! Like you, I purchase them with my limited & dwindling hobby budget funds. Often behind my wife's back, so my review page is limited to what I have purchased, considered purchasing, or was able to sneak into the workshop undetected. 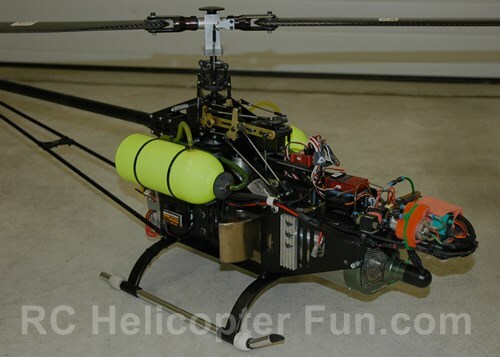 As I mention on my Best Heli Page, this site’s main intent is to give you information on what makes a good RC helicopter, what makes them tick, support equipment needed, and how to learn to tune them & fly them successfully. That all said, perhaps these reviews & overviews will give you a little more knowledge in your search for the "perfect bird" for your individual needs if one of these birds ends up on your "short list". Why I choose these brands is very simple – they work for me and my needs. As such, they are subjective in nature, but with a good deal of informed research first to see if they check the primary boxes off before I lay my precious Canadian loonies on the table. In the entry level segment, I choose Blade’s pre-built RC helicopters because I can bind them to my JR or Spektrum radios/transmitters meaning I don’t have to waste money on a new radio every time. 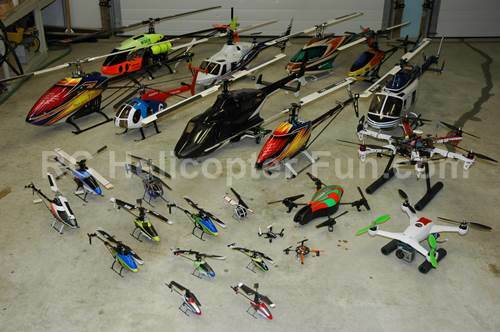 I also have great local hobby shop support for Blade heli parts and that is one of the single most important criteria (other than proper function & good design) I place on choosing a specific brand of bird over another. For higher end helicopter kits I have to build, Align T-Rex is currently my brand of choice for 3 main reasons: Again, superb local parts support where I live (the main reason why I switched over to Align from Miniature Aircraft 8 years ago). Align offers very impressive component quality / fit and finish for the price, and lastly, I really enjoy the hassle free super combo kits they have that come with all the electronic components. On the turbine side of things – that one is really simple... Bergen RC offered the best value kits that use the two stage Wren heli turbine engines. I wouldn’t even consider flying a turbine RC heli with anything but a two stage turbine and my personal opinion is Wren makes the best.